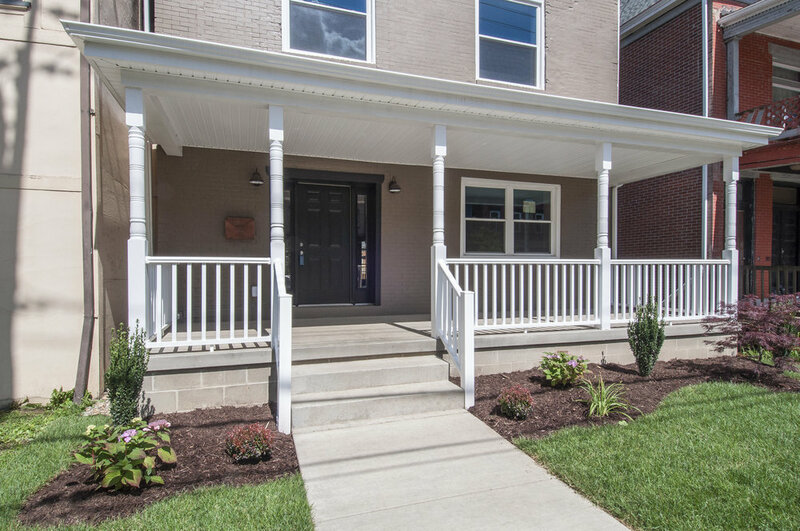 Gorgeous meticulously newly renovated home in Highland Park. 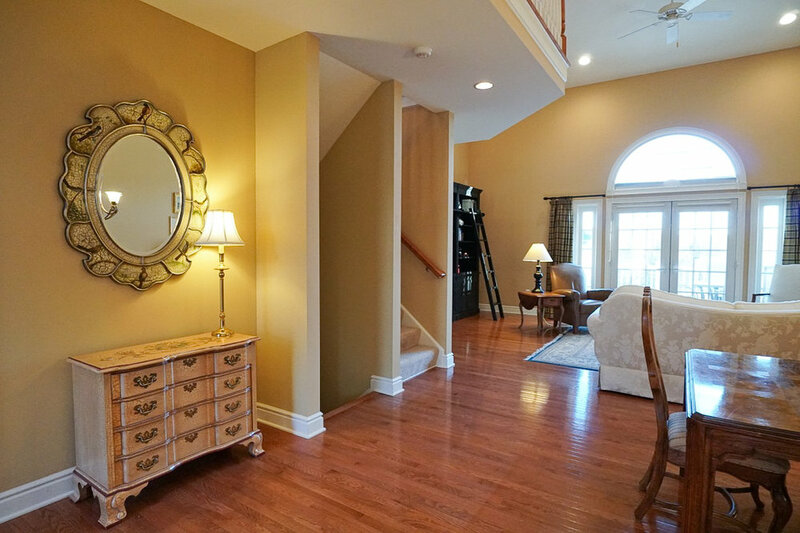 This home boasts numerous upgrades, spacious rooms, and an open floor plan with tall ceilings! 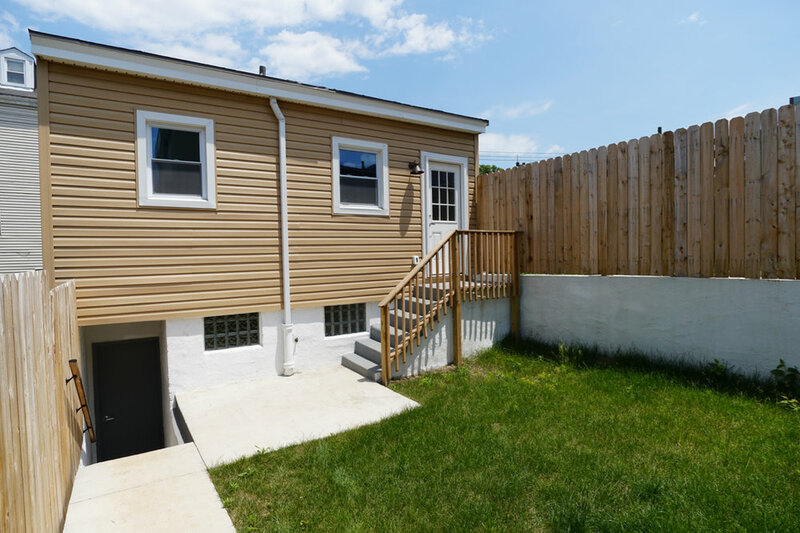 Brand-new 2 car detached garage, professionally landscaped yard, and deck for entertaining. 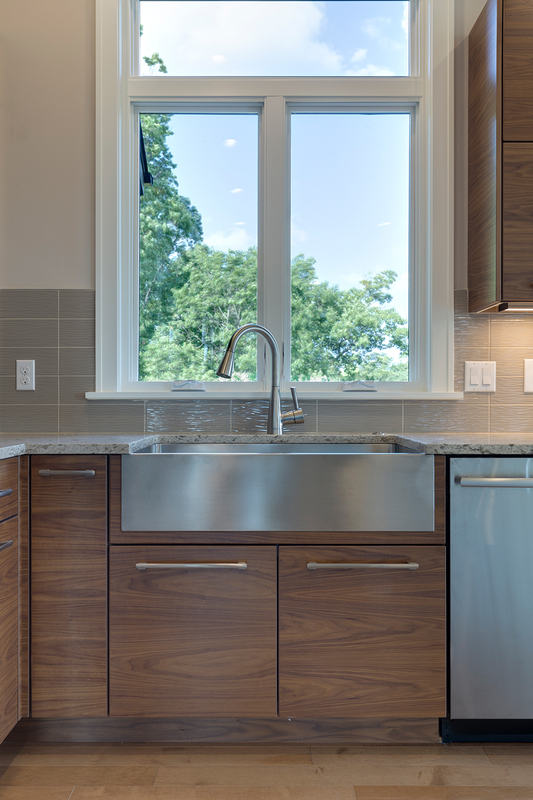 Custom designed kitchen with Jersey recessed drawer cabinetry, Yukon Gold quartz counters, and stainless steel appliances. 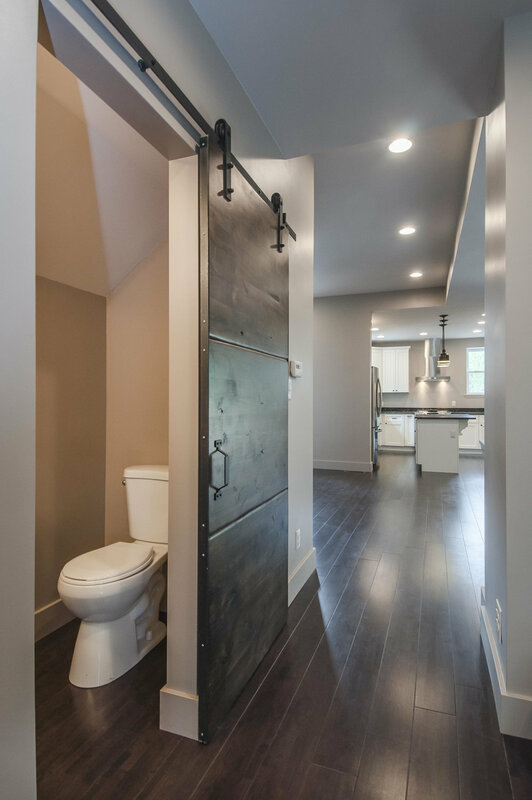 Powder room with barn door, kitchen pantry, and wide-planked espresso hardwood floors finish the main level. RARE upper laundry with granite counters and upgraded cabinetry. 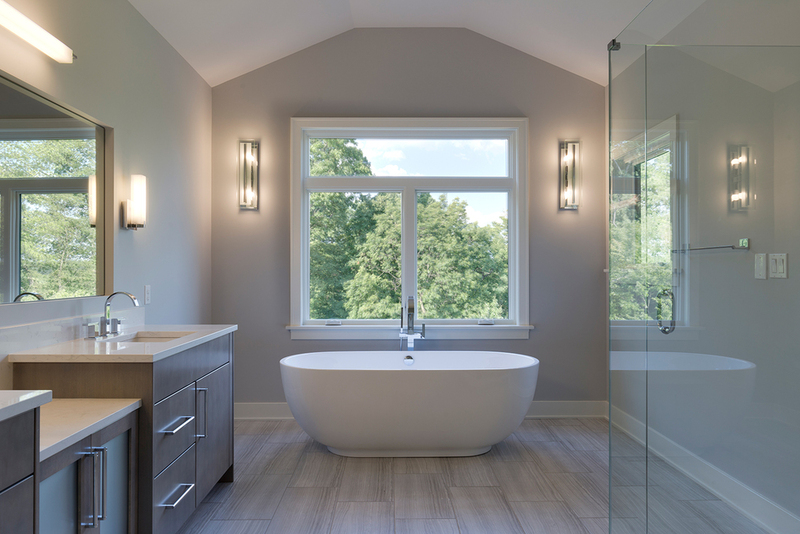 Master suite features a large walk-in closet and spa-like bath with soaking tub, tiled shower, and dual vanity sink with Zen quartz tops. 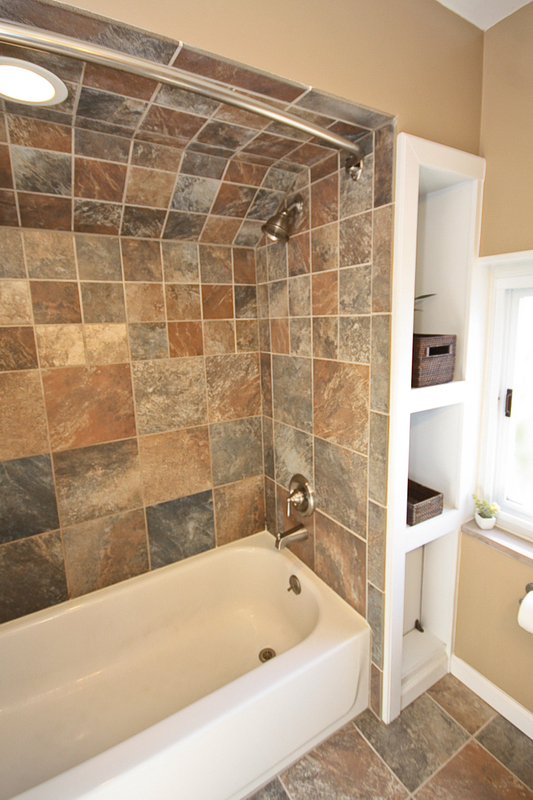 The 2nd and 3rd full bath also have granite counters, Montpellier tile, and soft close cabinetry. Not only is this home aesthetically pleasing, it has been meticulously updated: brand new HVAC, 50 gallon water heater, new plumbing, new water line curb to house, new drywall, and updated roof. Plenty of storage in the HUGE walkout basement. Walk to Bryant Street! 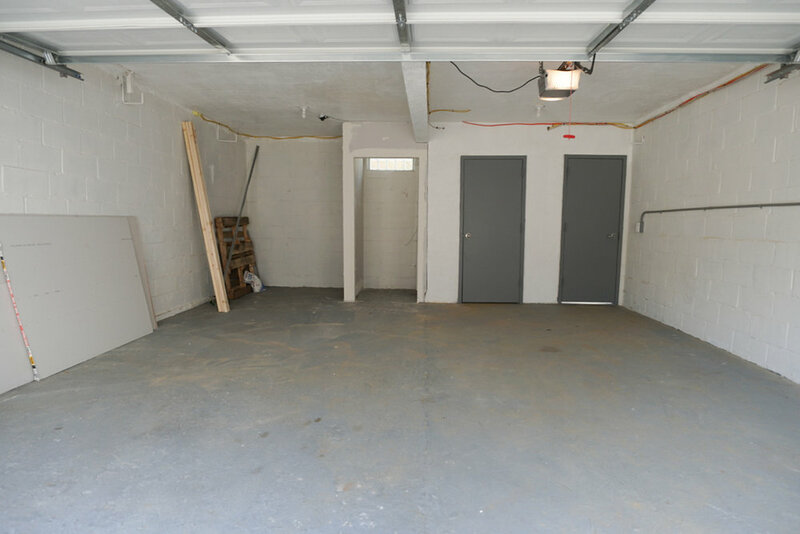 HUGE unfinished walkout basement with plenty of storage! IMMACULATE move-in ready condo located on the side of the street with a wooded back in Foxcroft Village . This spacious condominium features plenty of living space, storage, parking and more. Open floor plan! The home features a formal entry which opens to a large living room with plenty of natural light. There is a separate dining room with room for a full dining room set. 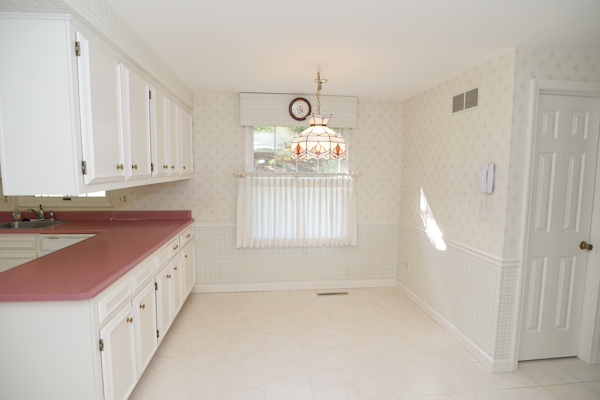 The kitchen has so much storage and plenty of storage space. Off of the kitchen, there is an additional living room which is connected to the large deck with wooded views. 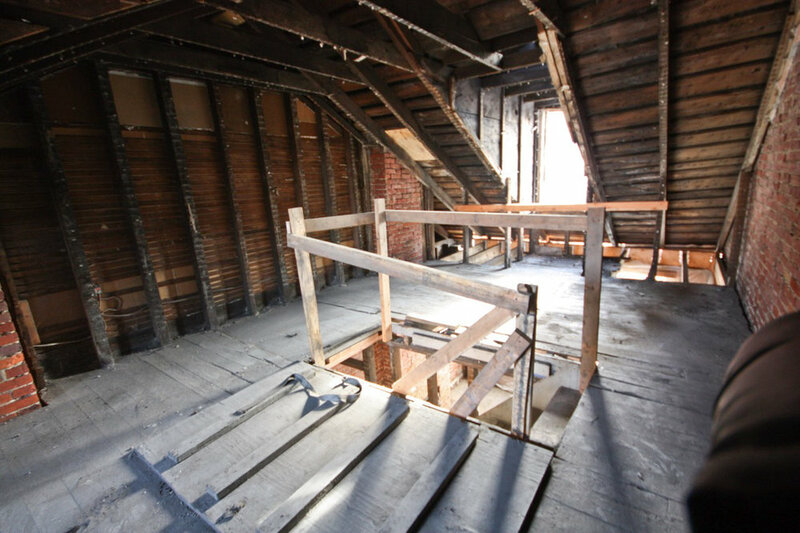 Upstairs, there are three spacious bedrooms with large closets. The master suite is huge and has a private master bathroom. 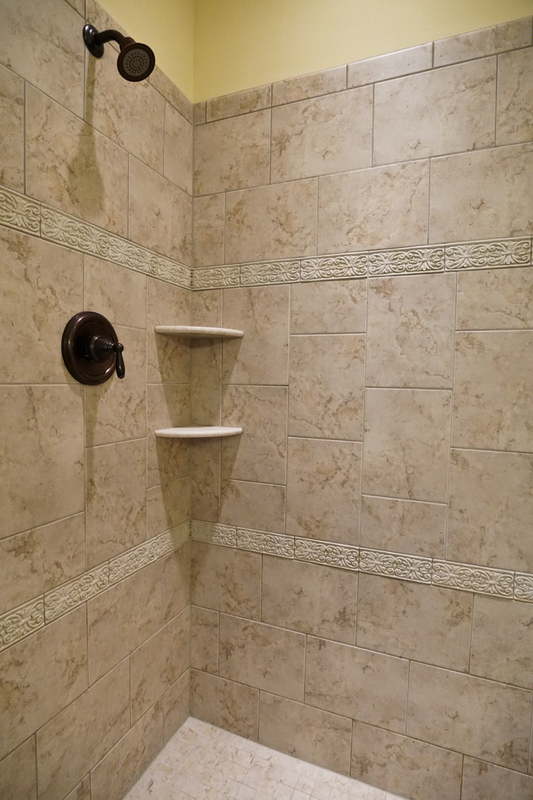 The hall bath has been updated with a tiled walk-in shower. Neutral decor. 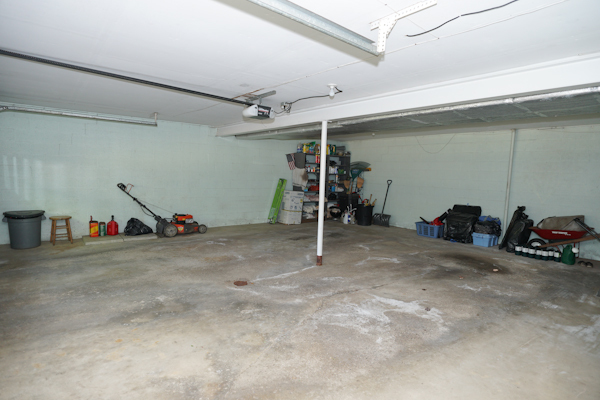 The basement offers plenty of storage and opens to the large two car integral garage. 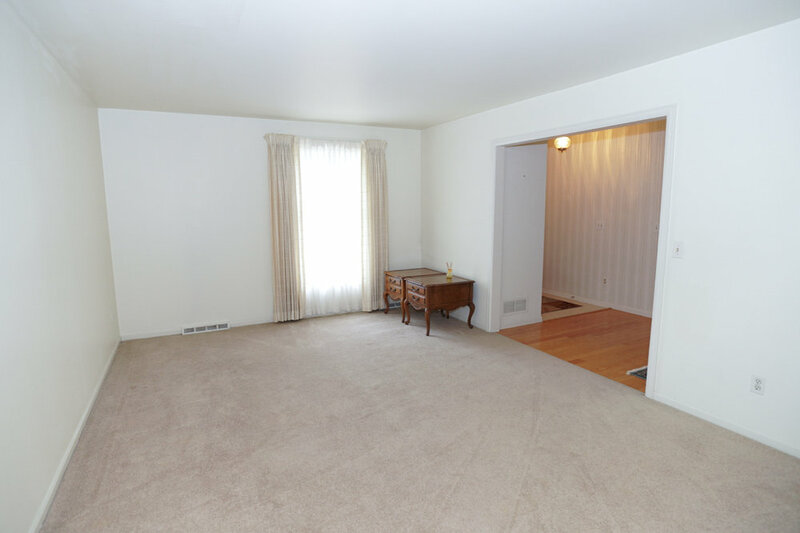 Very spacious, tons of natural light, amazing location! 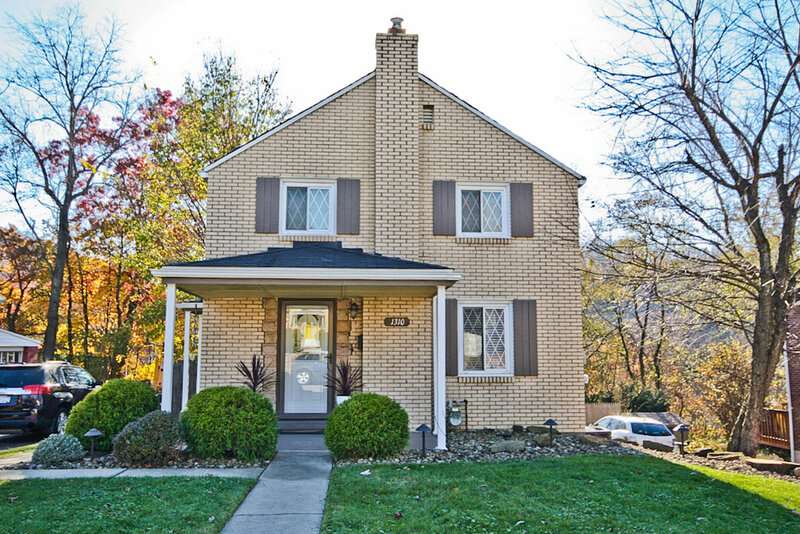 Close to Duncan Manor, minutes from the shops and restaurants of McCandless Crossing and Mcknight Road. Maintenance free living! Upgraded immaculate home in The Meadows at Hampton. First floor master suite, laundry, and attached garage. Soaring ceilings! Open floor plan. Plenty of natural light! Gourmet chef's kitchen with Sub Zero fridge. First floor laundry room. Gorgeous hardwood floors. 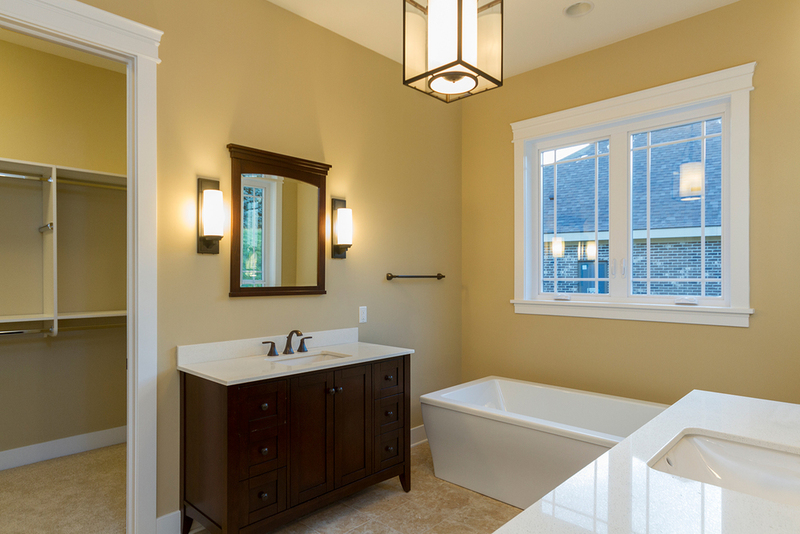 Master suite features hardwood floors, two walk-in closets, and spa-like bathroom with jetted tub and tiled shower. All secondary bedrooms are very spacious! 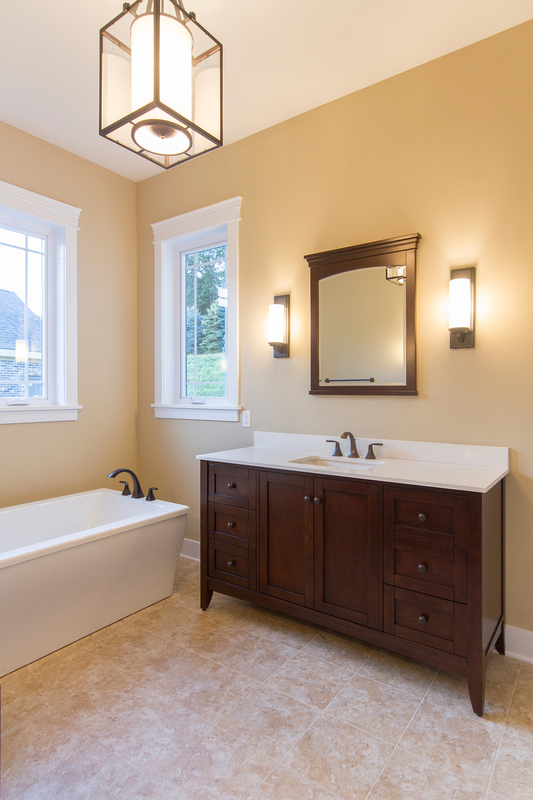 Bathrooms feature upgraded finishes such as furniture style vanities. 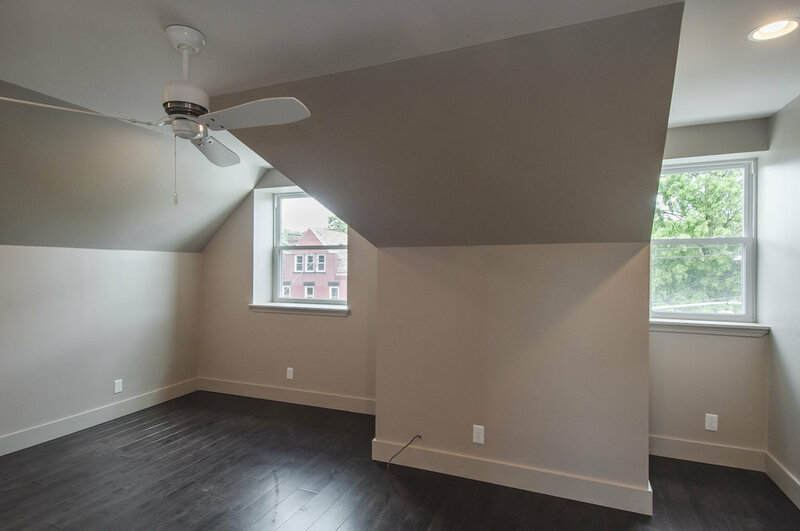 Upper bonus loft/study and additional sitting area that can be used as a reading nook. Upgraded walkout finished basement with hardwood floors, bedroom, full bathroom, game room, kitchen and HUGE storage room. Usable flat yard! Front yard sprinkler system. Easy city commute. Near the Hampton community center and Hartwood Acres. Must see! Enjoy luxury living built by Madia Homes at The Heights of North Park. 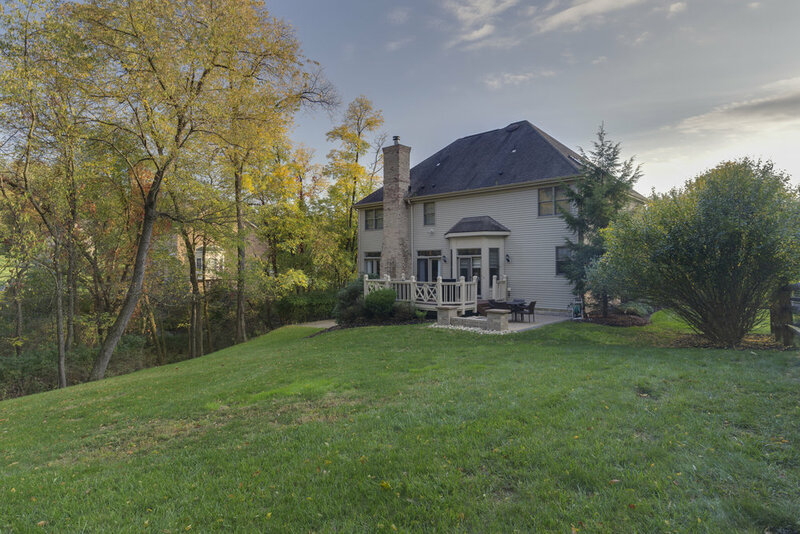 This home features a stately governor's drive and four car attached garage. The home is situated on a private lot with a flat usable yard accessible from the finished walkout basement. The two-story entry and family room has large windows which welcomes natural light into the home. 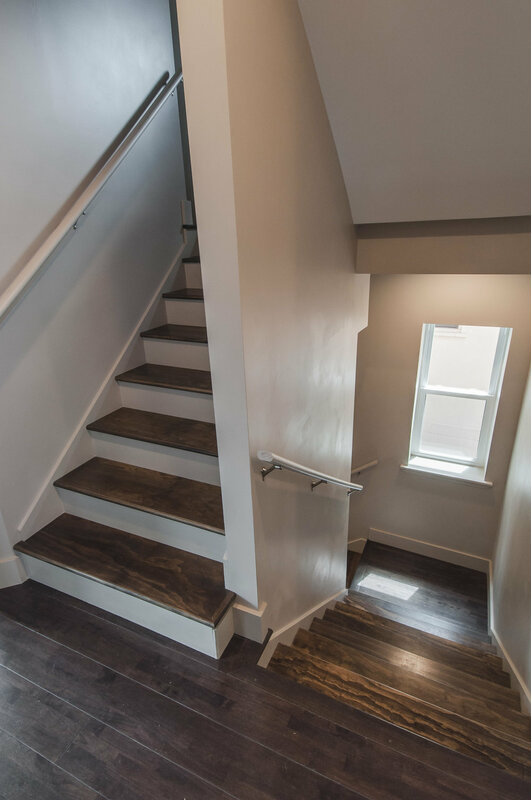 There are numerous custom upgrades including oversized crown molding, walnut burl panels in the study, and a hand-built bar in the finished basement. 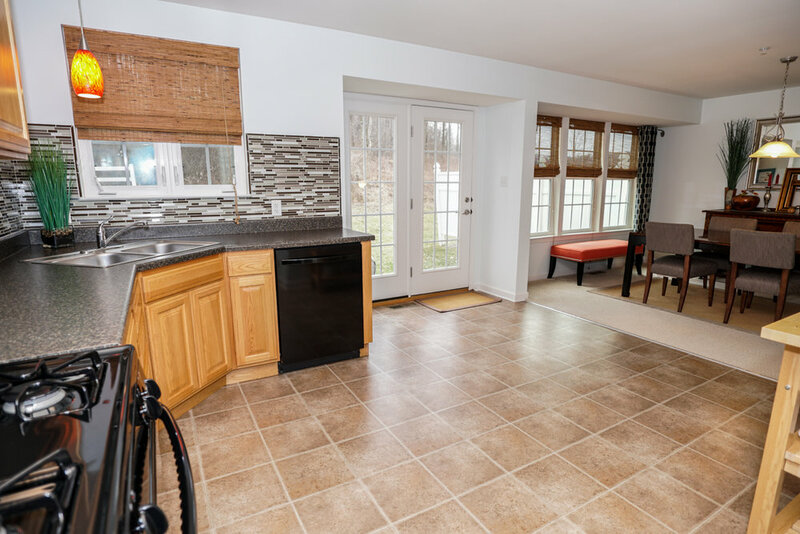 The kitchen is a chef’s dream with granite countertops, upgraded cabinets, and a large kitchen nook. 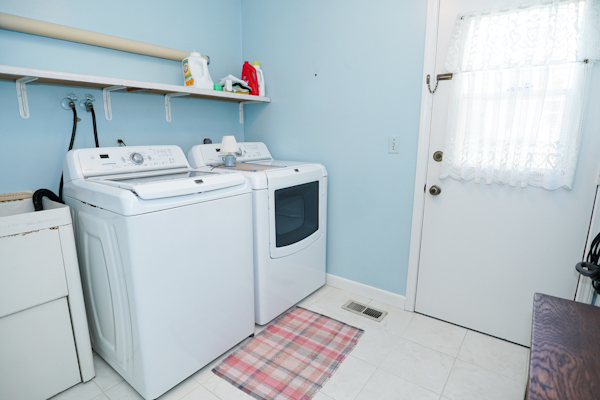 The first floor laundry room also doubles as a private mud room. Relaxing in the master suite is a breeze with the custom fireplace, lighted tray ceiling, and spa with steam shower and oversized tub. 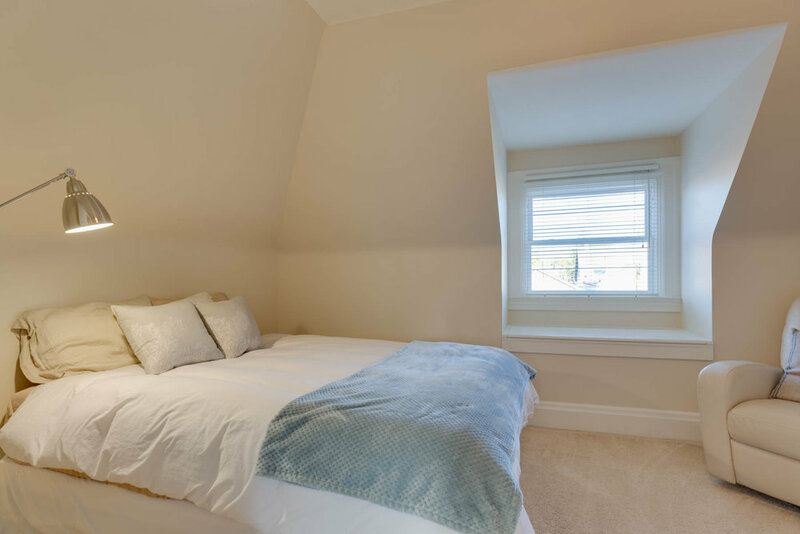 The fifth bedroom is on it’s own upper floor and is perfect for family and long term guests. The finished walkout basement includes a custom bar, game room, exercise room, storage and more! 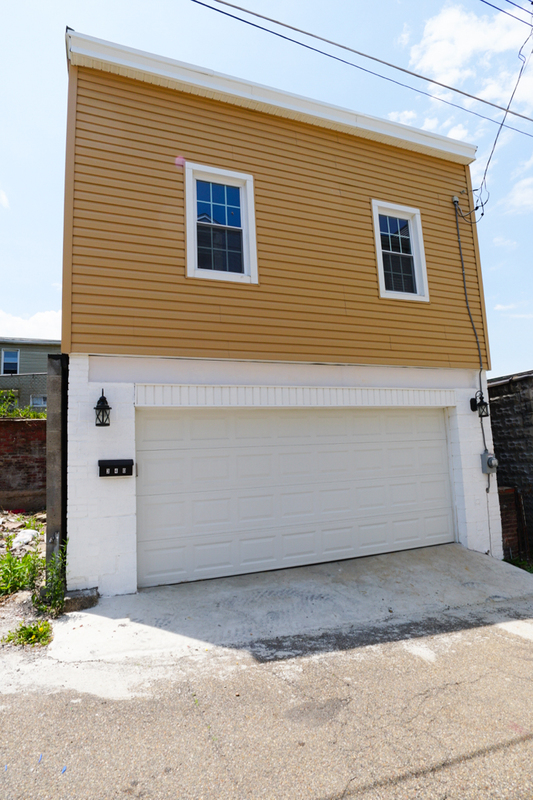 Newly remodeled detached home that features a large RARE Lawrenceville 2 car integral garage with living space above. Open floor plan. New kitchen featuring stainless steel appliances, painted white cabinets, and granite countertops. New windows, doors, flooring and a brand new full bathroom. Laundry hook-ups in the mechanical room. 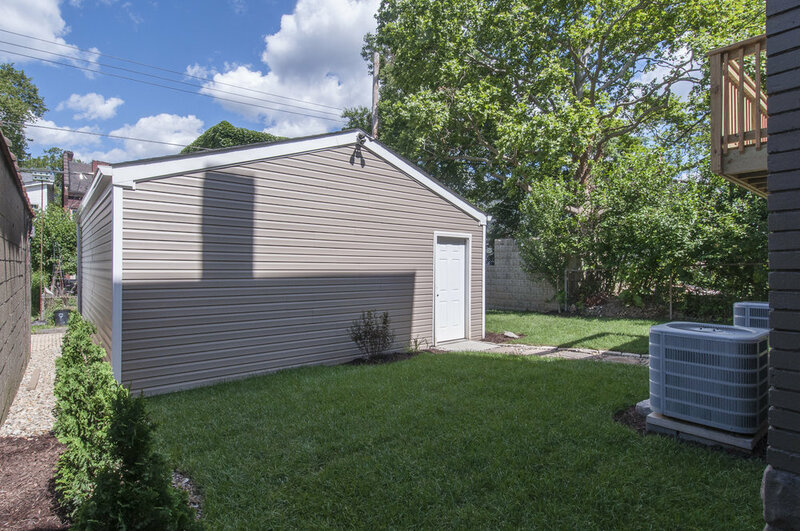 In addition to off-street garage parking, the home has a private yard. 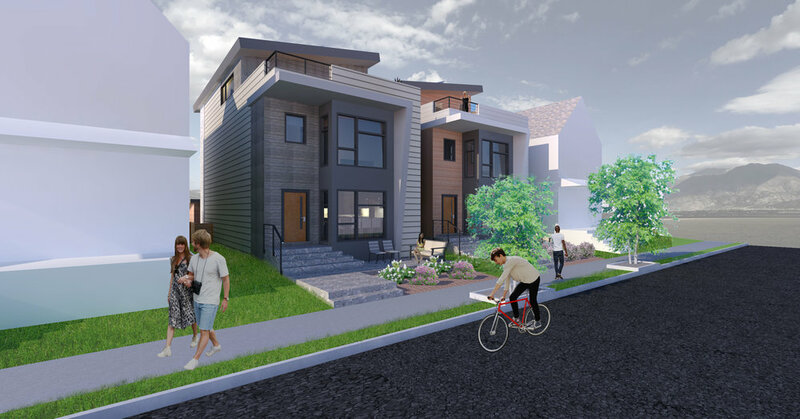 Walkable to Children's hospital and Butler Street! 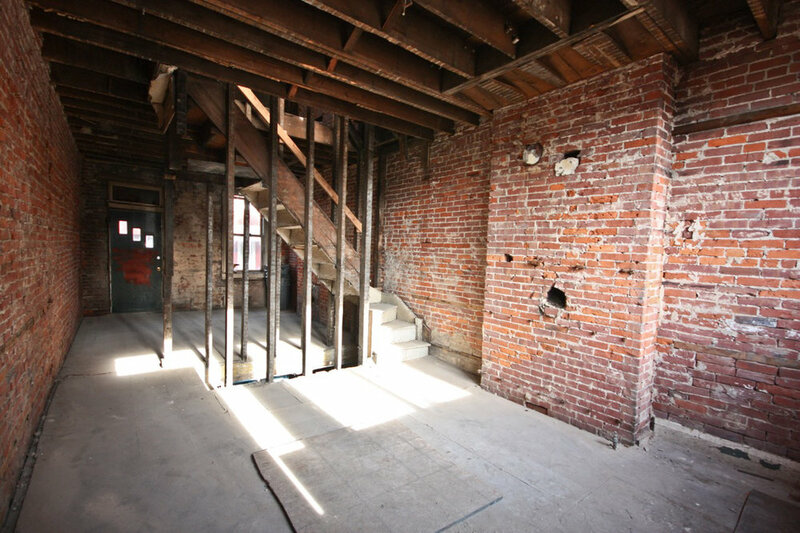 Use as a personal residence or could be a great fit for a car enthusiast, as a rental property, for an artist, or as a 2nd home in the city! 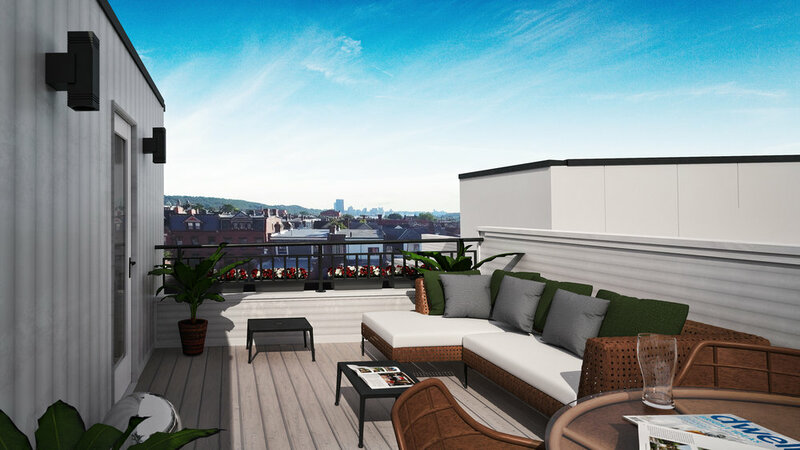 The Borealis - East Liberty new construction at Kula Living (Phase 2) by PWCampbell. Spacious Energy Star-built contemporary home with luxurious finishes & a two car garage. HUGE (24’ X 20') roof deck. 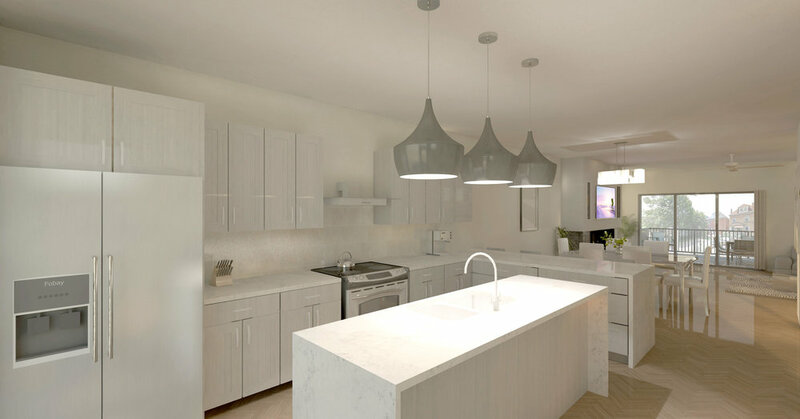 Gourmet chef’s kitchen with select granite/quartz countertops and stainless steel appliances. Open floor plan! Hardwood floors in all main living areas. Optional polished concrete floors lower bedroom. Large windows – great for natural light and entertaining. 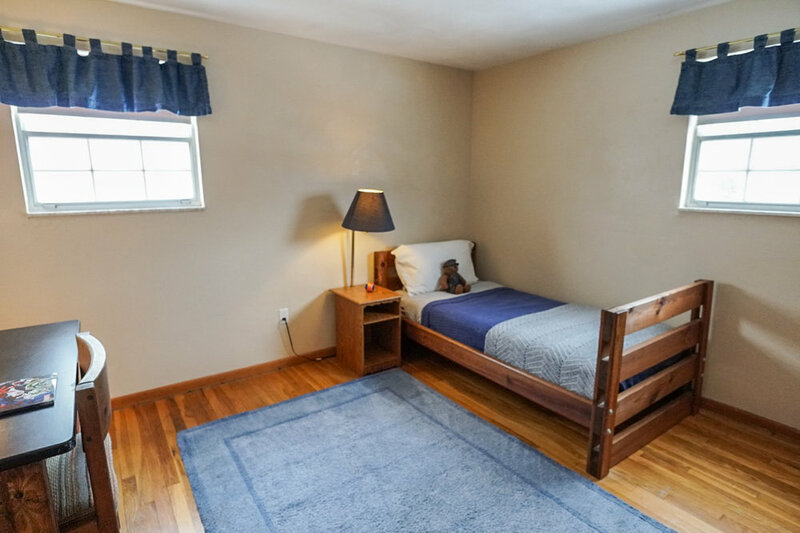 Spacious master suite with two huge walk-in closets! 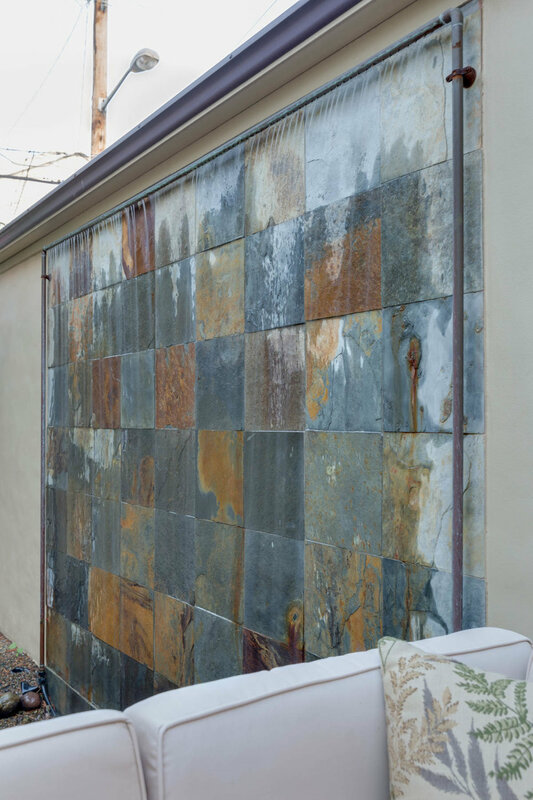 Work with our designers to customize finishes. Optional upgrades: fireplace, floating staircase, solar panels and much more! Base package includes upgraded finishes. Huge Wexford End Unit with a ton of options. Hardwood throughout main level. 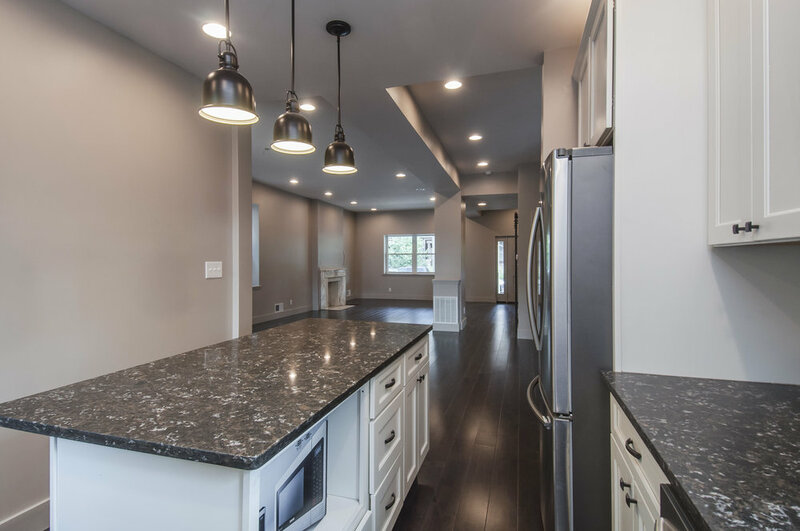 This open floor plan with the optional 4' extensions features stainless steel appliances, granite countertops, and upgraded cabinetry throughout. 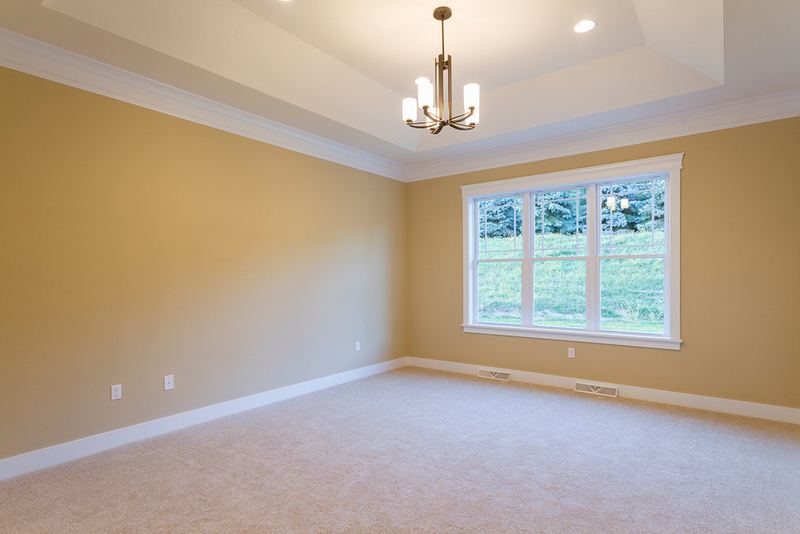 The home has a finished basement with surround sound and exta recessed lighting. 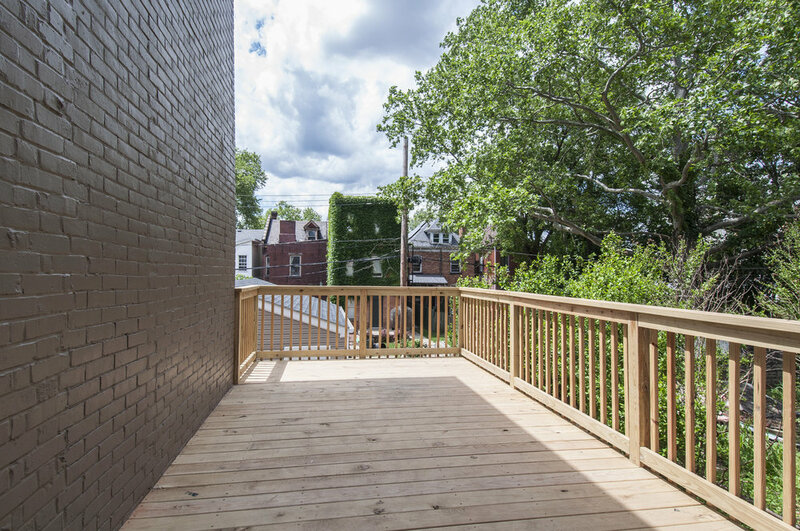 This great end unit looks across to green space and is near the community playground. 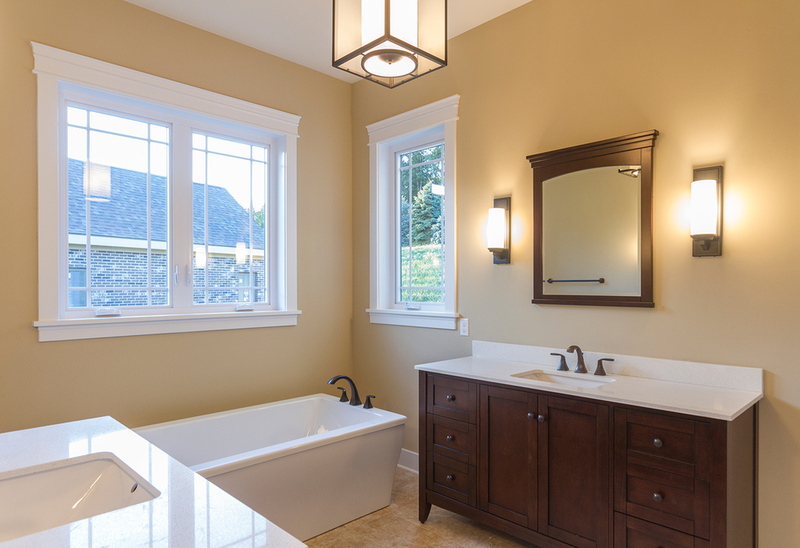 This home has an upgraded master bath with a jetted tub and seperate shower. To many options to list them all. Spacious brick home in Greybrooke! HUGE private usable yard! 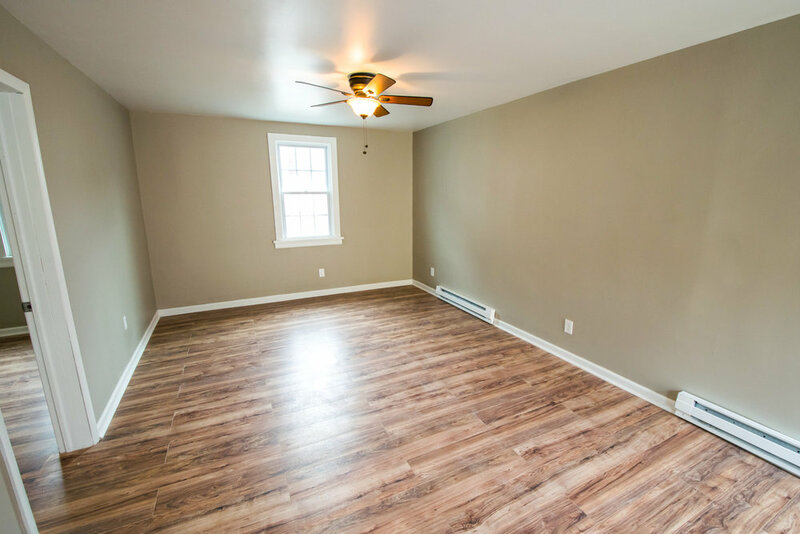 This five bedroom room includes a living room, family room, FIRST FLOOR LAUNDRY/MUDROOM, kitchen with nook, and dining room! 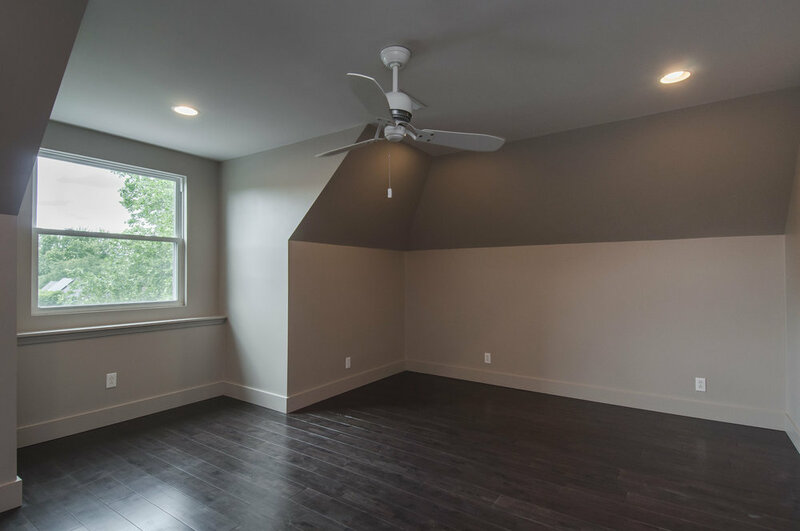 So much space for entertaining! The dining room opens to a large patio that is at the gorgeous yard. 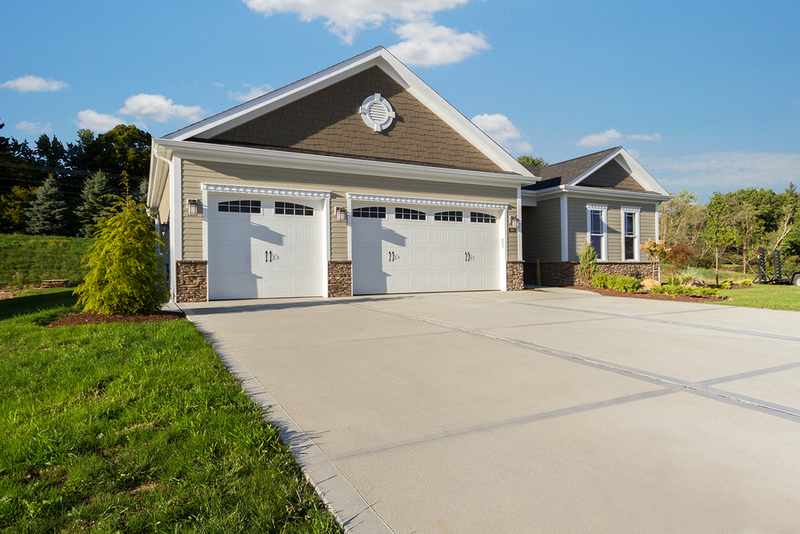 Large flat cement driveway and oversized garage. This home features five spacious bedrooms and has plenty of storage. The home has been lovingly cared for and has plenty of room to grow into. Contemporary colors & finishes, Super Clean & Move-In Ready! 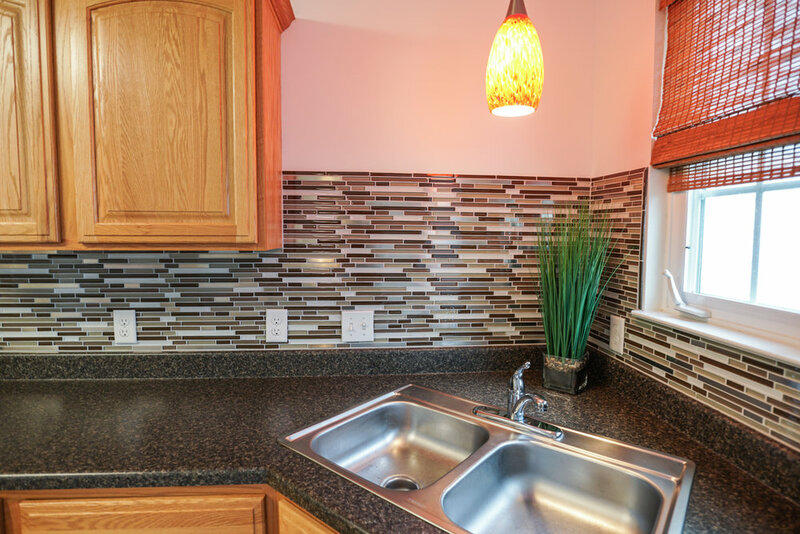 Kitchen features new glass tile backsplash & modern lighting. 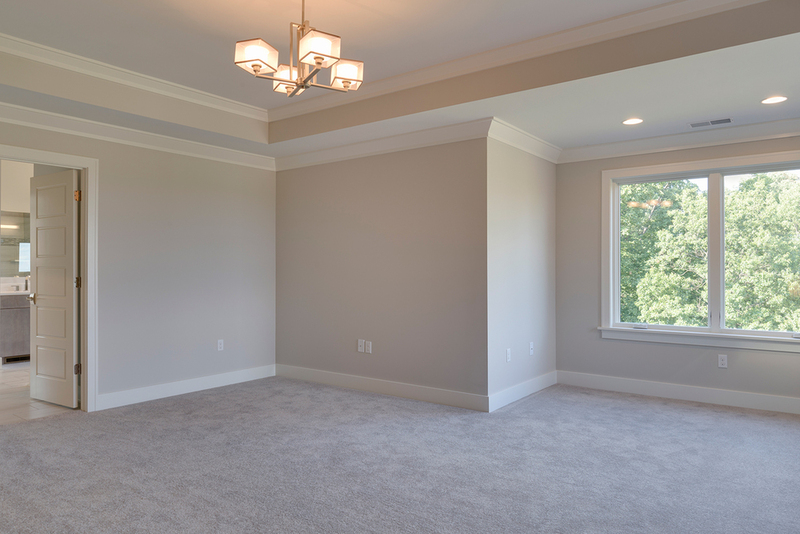 With 2 ft. extension, there is space for your dining room furniture. The luxurious master suite boasts a walk-in closet, and bath with double granite vanity, soaking tub, and marble accent wall. Easy commute to the city and turnpike with lower Butler Cty. taxes. Additional room used as storage room can be finished in to game room. This is the best value in Kaufmann Run Estates! East Liberty new constrution at Kula Living by PWCampbell. 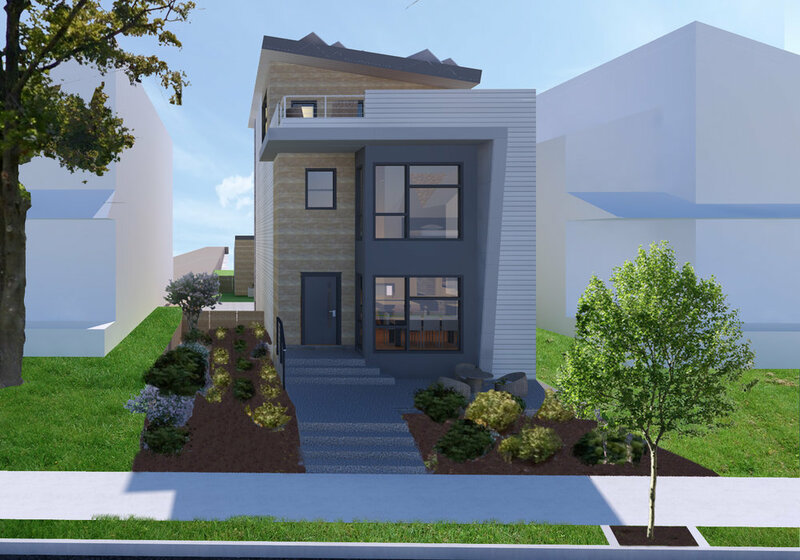 Spacious Energy Star-built contemporary home with luxurious finishes & a two car garage. 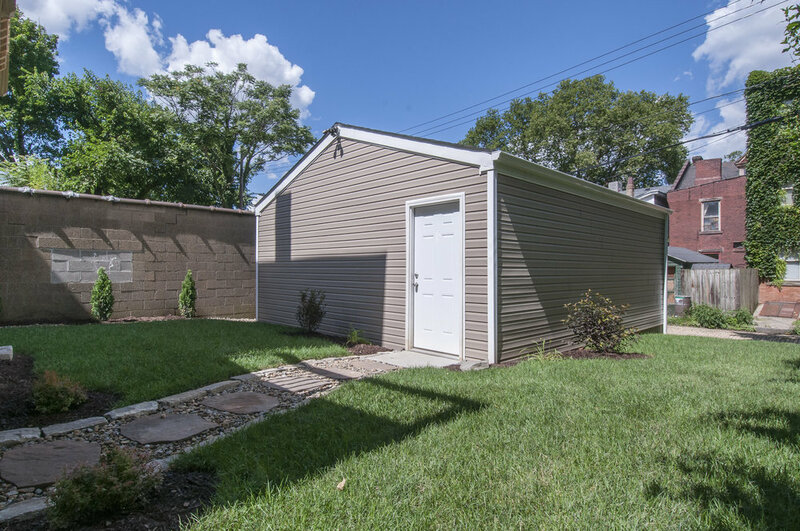 HUGE roof deck & private fenced in yard. Gourmet chef’s kitchen with select granite/quartz countertops and stainless steel appliances. Open floor plan! Hardwood floors on first, second & third floors. Optional polished concrete floors in living room. Large wall of windows connects the living room with 12’ ceilings to the finished patio – great for natural light and entertaining. Tile in bathrooms and laundry. 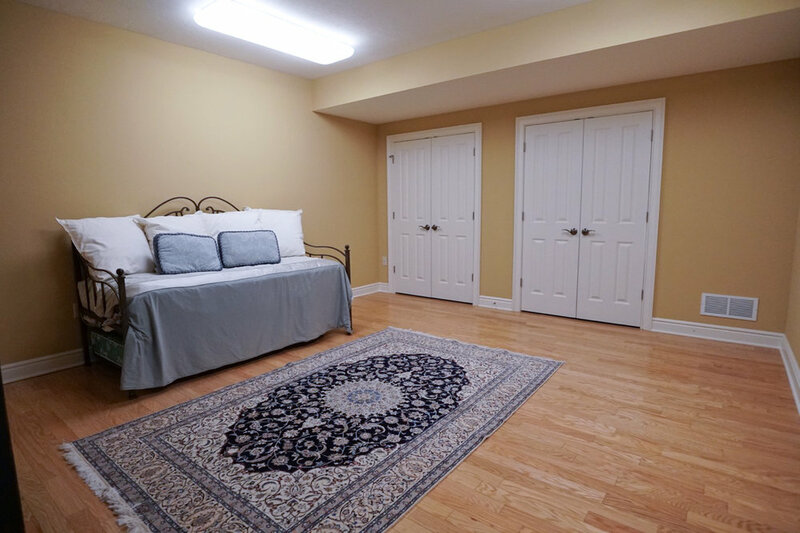 Spacious master suite with HUGE closet! Upgraded exterior finishes include Hardie board/panel and Allure siding. 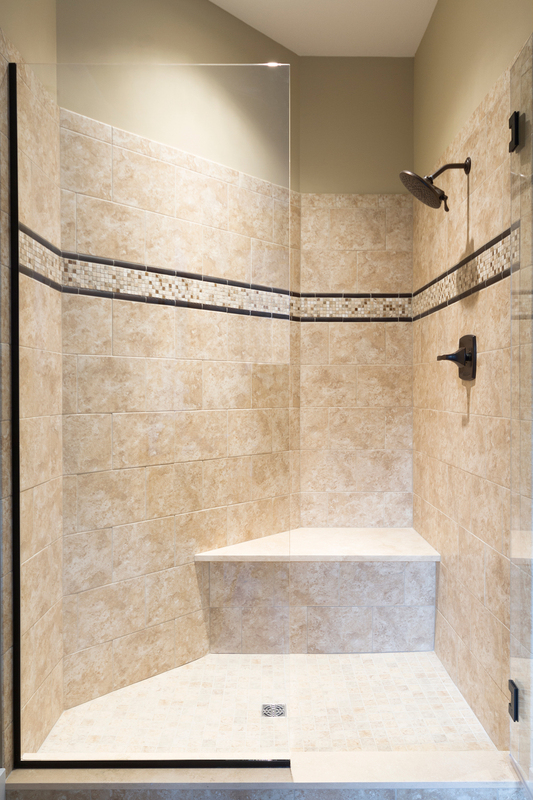 Work with our designers to customize finishes. Optional upgrades: Finished basement, fireplace, third full bathroom, floating staircase, solar panels and much more! Base package includes upgraded finishes. Walk to the new East Liberty Whole Foods (to be built)! 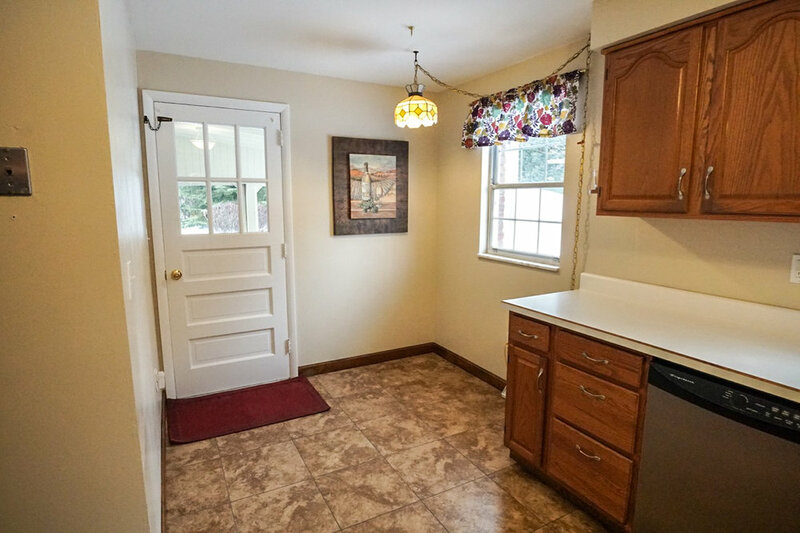 Immaculate move-in ready home in McCandless! So much living space and storage! 2 car garage! 4 bedrooms! Usable yard! This home features fresh neutral paint, hardwood floors and large living areas. 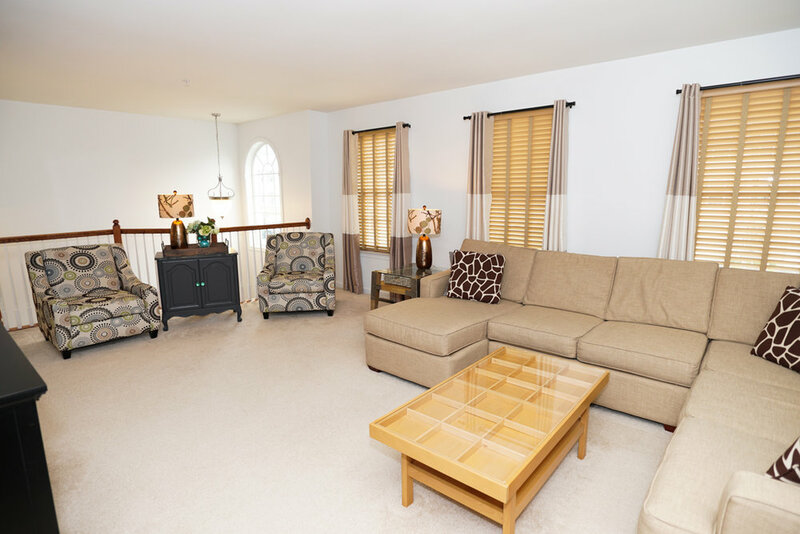 The main level has a spacious family room and large living room. The bright eat-in kitchen opens to a screened in porch. 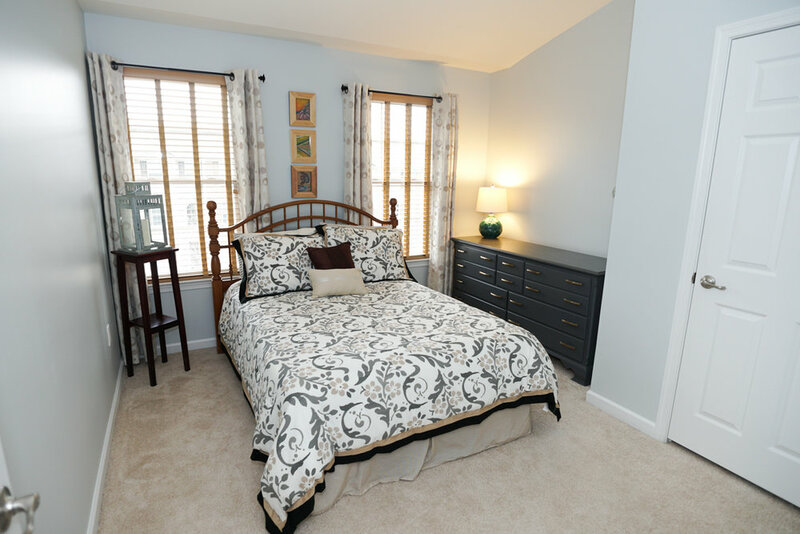 The master bedroom has a private bath and plenty of closet space. This home has room to grow into. There is plenty of indoor and outdoor entertaining space. There is a large storage room in the basement. Additional room on the listing is the screened in porch. 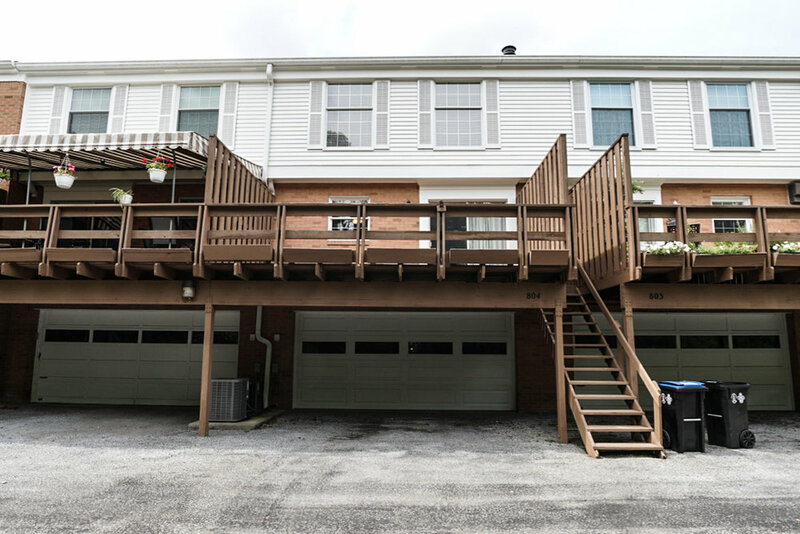 Easy city commute and the house is located a short distance to McCandless Crossing that has Trader Joes, a movie theatre, and plenty of shops and restaurants. 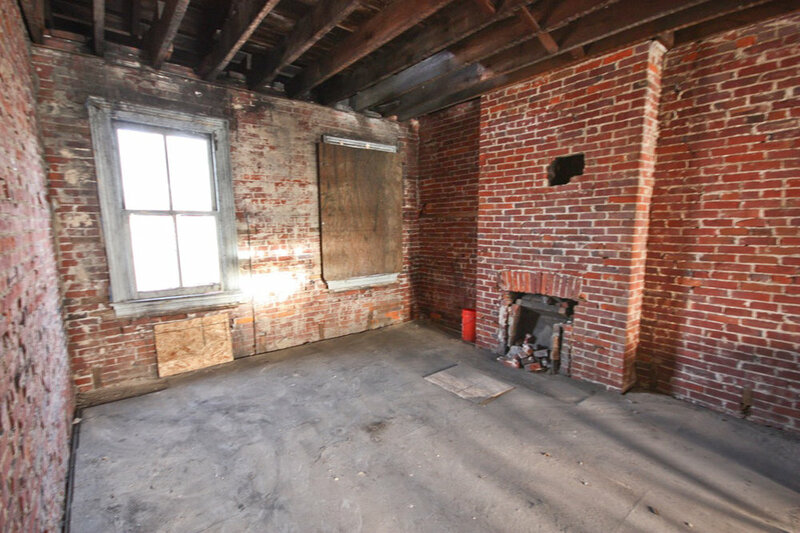 Make this lower Lawrenceville brick row home your own! 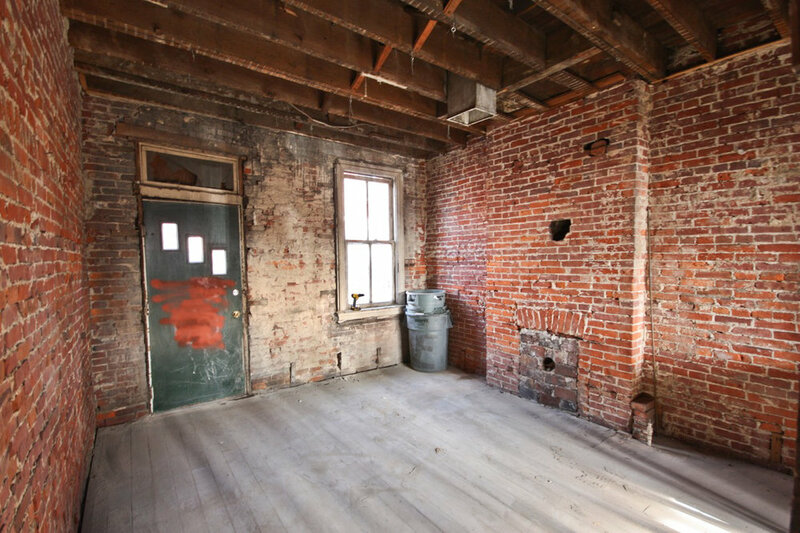 Completely gutted & interior brick has been exposed and cleaned! Most wide plank pine flooring in tact (ready to be sanded & refinished). City skyline view! Incorporate into your new design! AMAZING location! Walk to Round Corner Cantina, Piccolo Forno & Espresso A Mano. Downtown and the strip are a quick bike ride away! House's rear wall has been rebuilt. No active utilities. Complete shell. Rear window and sliding (or French) door openings sized according to Pella standard according to their catalogue (three windows & one large door with transom top). Window openings on north side of property set to accommodated at least 25 inches for wardrobe closets. Possible floor plan for 2 bedroom, 2.5 bath, 1 den, living/dining/kitchen layout shown in listing images. 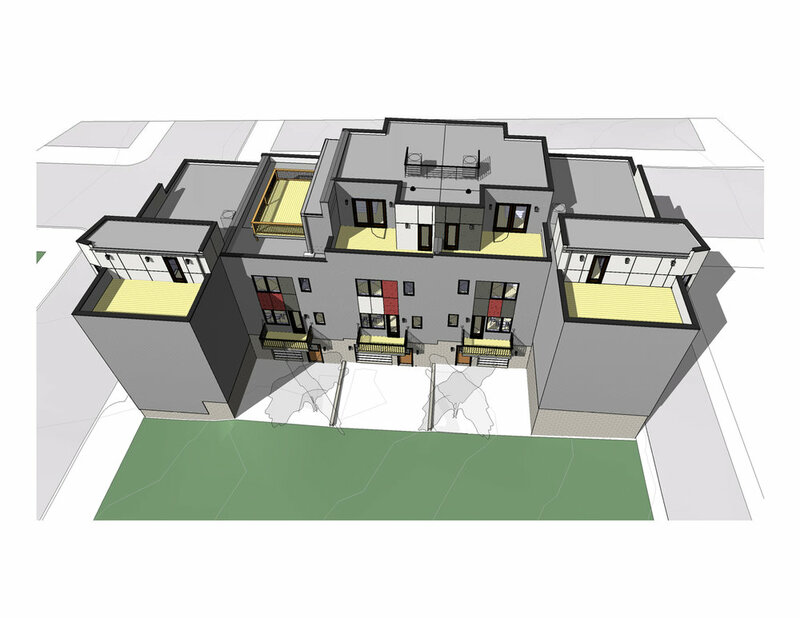 Seller obtained zoning variance approval to fully expand rear dormer to full width of property. Room measurements taken at house currently as shell. 8.5-9.5' ceilings 1rst/2nd level. Immaculate move-in ready brick home located in the sought after North Allegheny School District in Bennington Woods. It is located on a private lot that faces open space across the street. 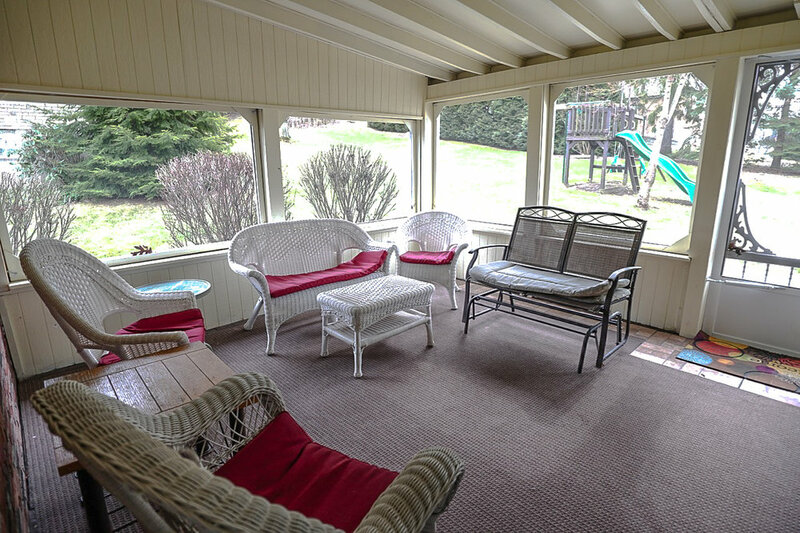 The backyard has a park-like feel with a newer stone patio & refinished deck. Truly a special lot! Must-see! 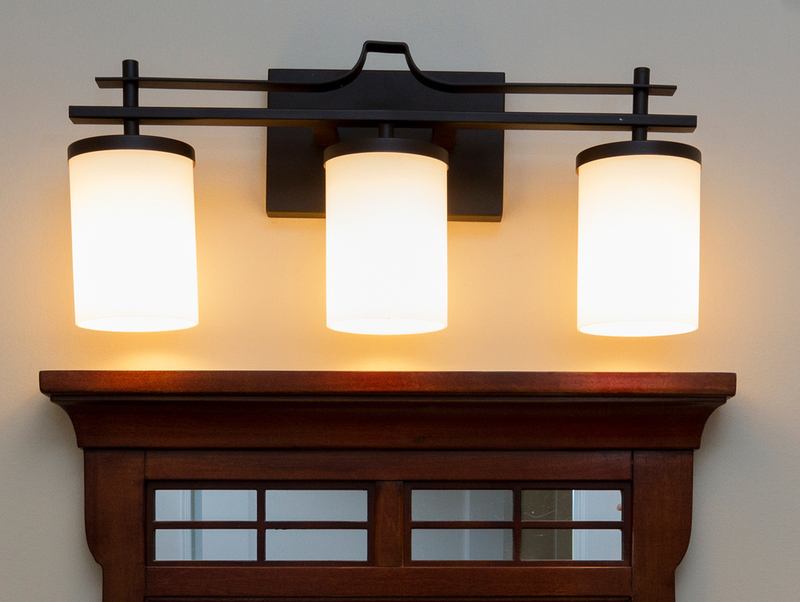 The home features an open floor plan with new light fixtures, fresh neutral paint, and updated door hardware. 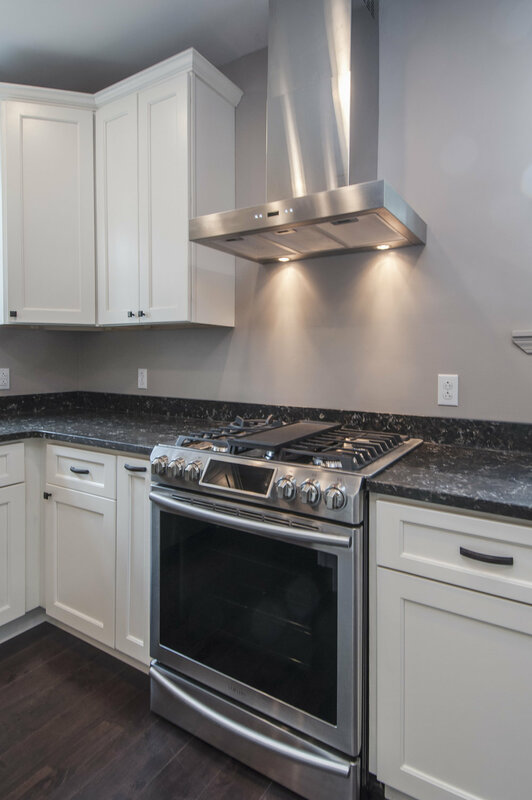 The gourmet kitchen includes stainless steel appliances, granite countertops, and gorgeous cabinets. Upstairs, the family room centers around a large fireplace with stunning views of the private backyard. 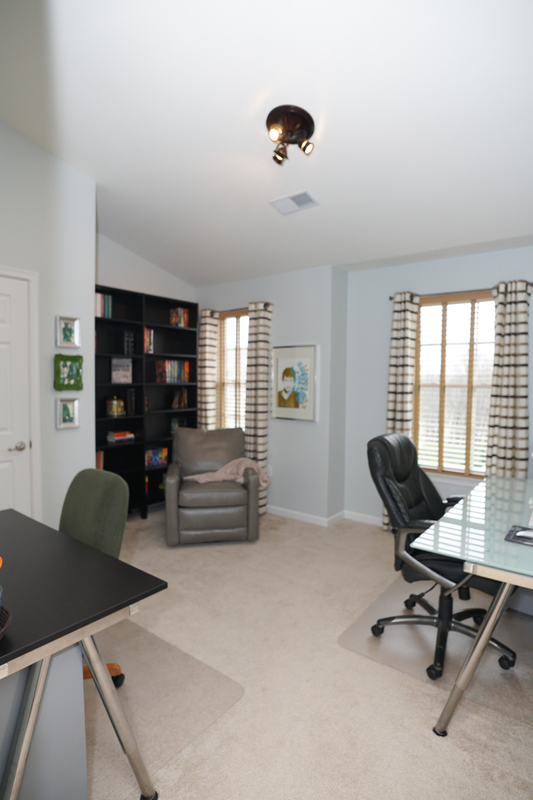 The large study features custom built-ins and judge’s paneling. The master suite features a tall tray ceiling in the bedroom and updated bathroom with beautiful tile accents throughout. 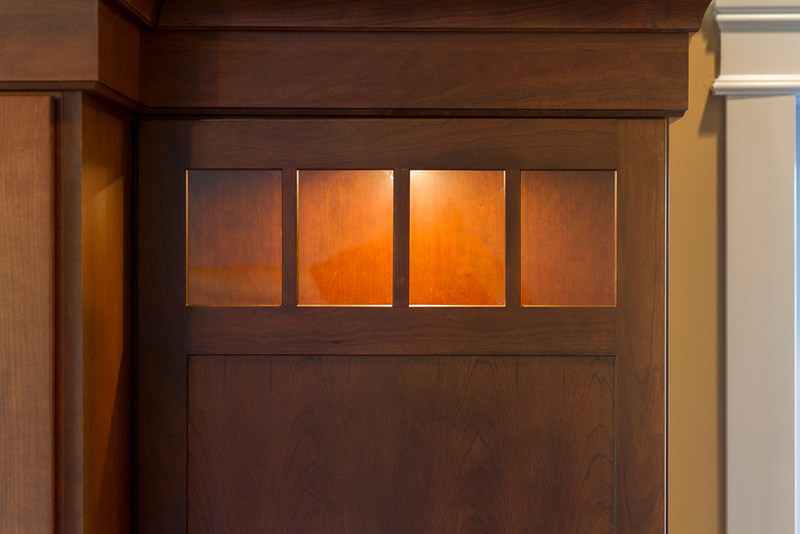 There is a large walk-in closet with custom built-ins too! 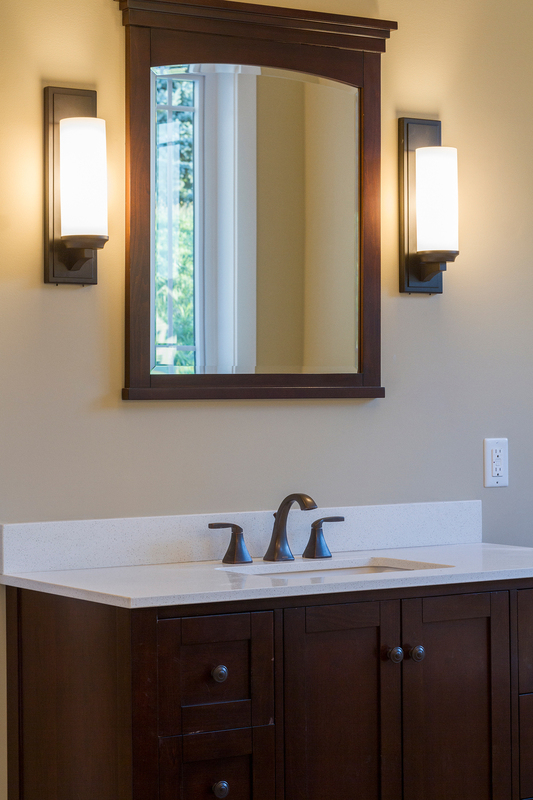 The basement has been remodeled to include an updated gorgeous powder room and a large bar with stylish tile and granite countertops. Immaculate updated move-in ready home! Open floor plan with beautifully designed finishes throughout. So many updates! 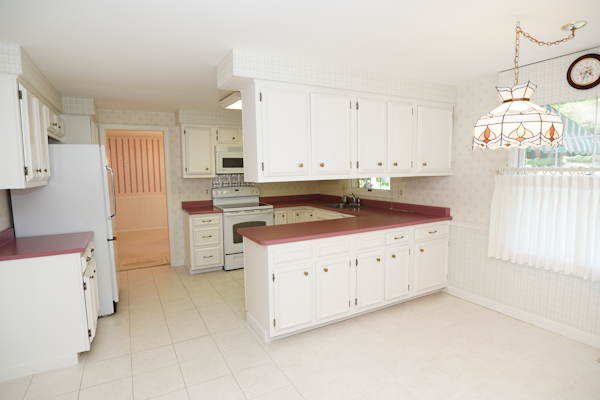 Gorgeous kitchen with maple cabinets and high-def laminate countertops. Fresh paint throughout! 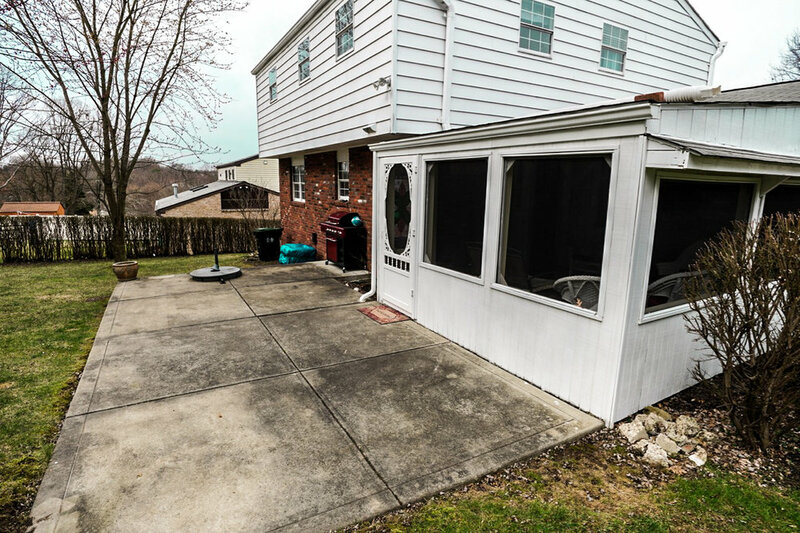 Large glass french doors from dining/kitchen to back deck. 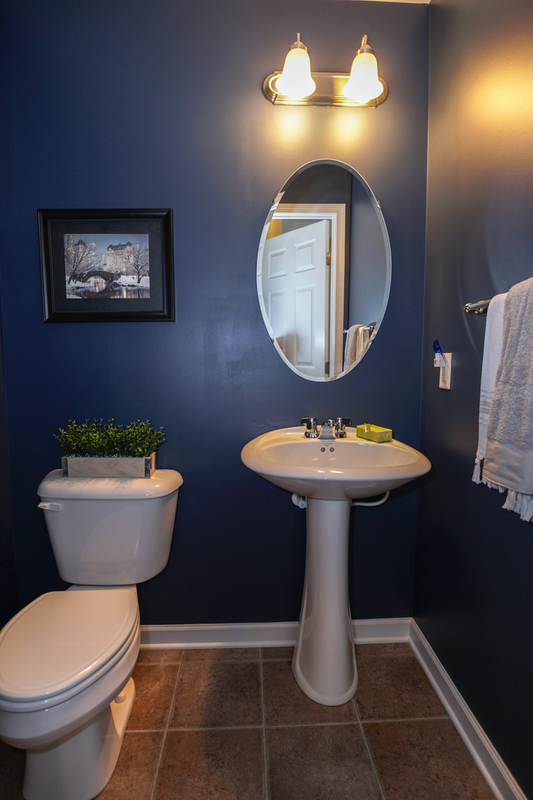 Completely remodeled full bathroom. 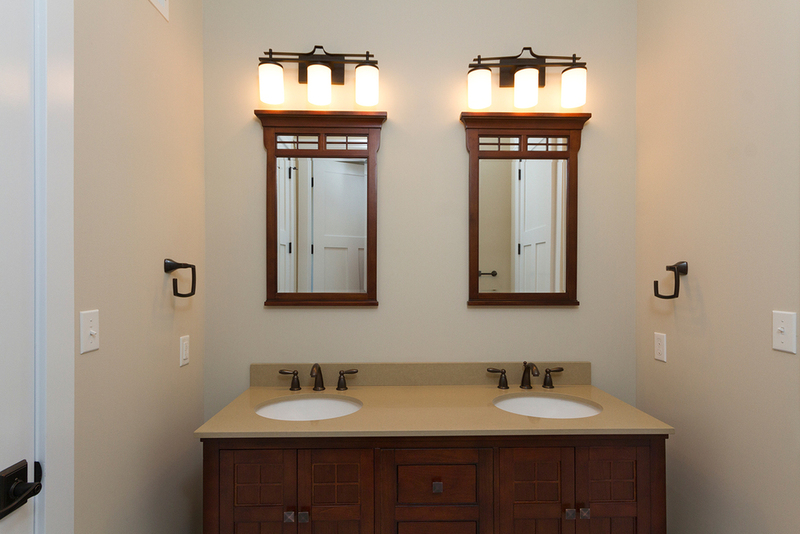 Remodeled basement powder room. 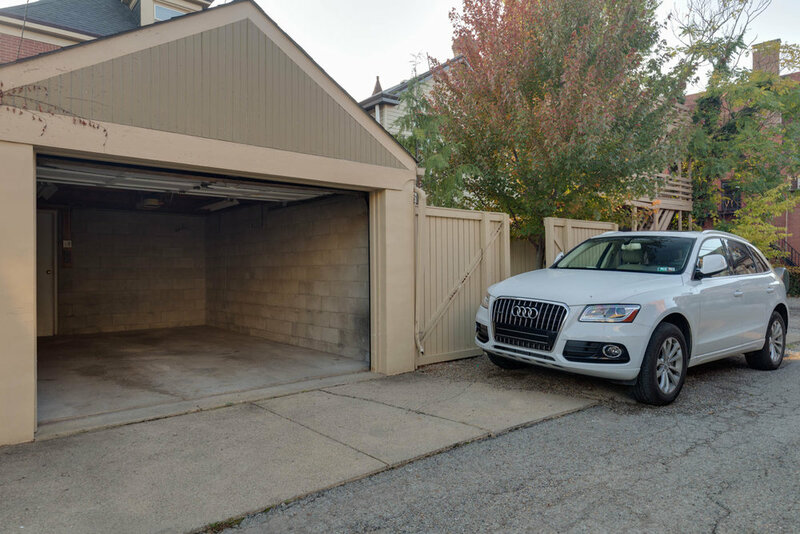 Integral garage and parking pad for two additional cars at driveway. Modern landscaping with newer retaining wall. Storage! Large shed, basement, and attic storage. This house is clean and features modern finishes and paint colors. Updated hardware, lighting, and interior/exterior doors. Refinished interior railings. Original hardwood floors and newer additional flooring. 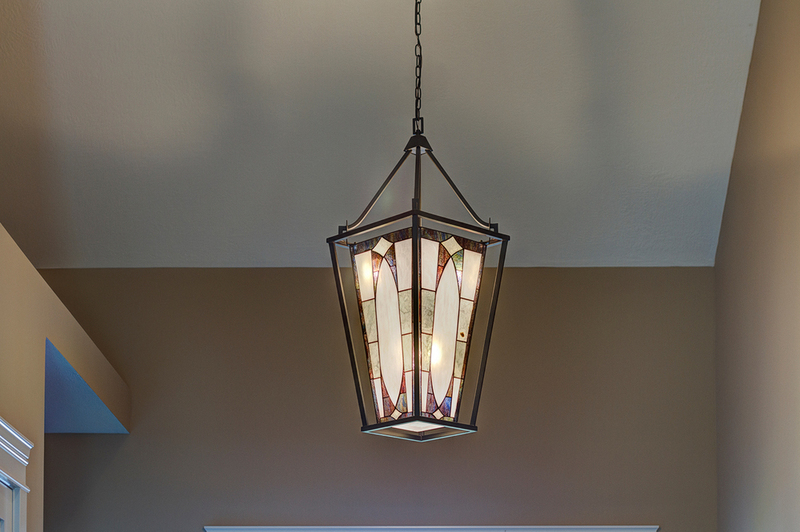 Custom craftsman style ranch in The Meadows at Hampton built by Madia Homes. New single level living. Vaulted great room / eating area with beautiful hardwood floors. Fairmont vanities in bathrooms. 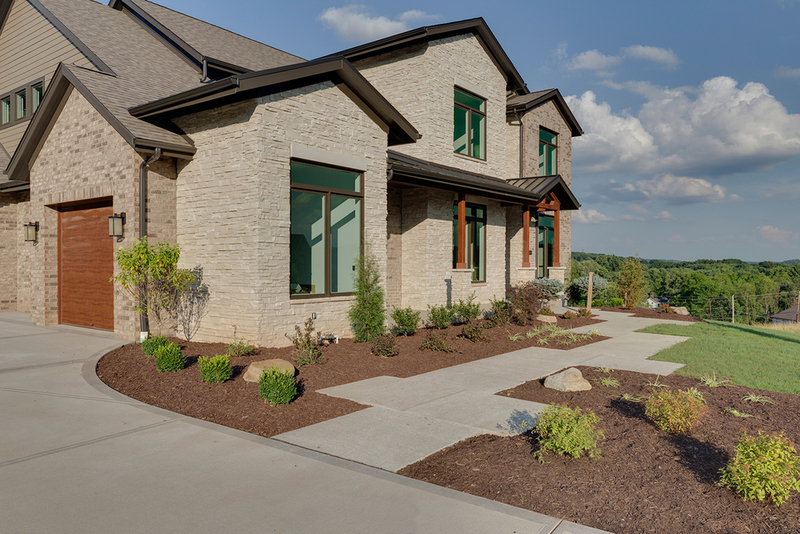 Attractive Hardi plank and stone exterior. Ten foot ceilings matched with 8 foot doors. Craftsman style kitchen. Level home site at highest point of community. Community takes car of yard maintenance and snow removal. Contact sarah madia at (412) 522-7587 to learn more! 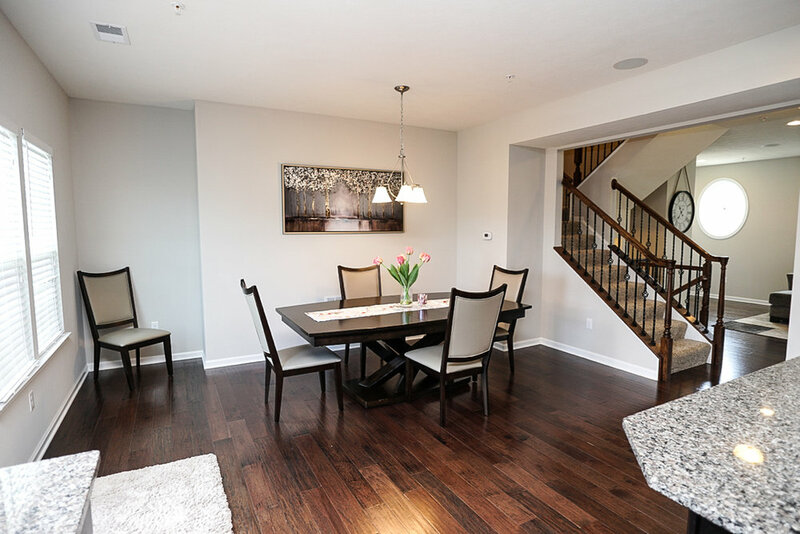 Immaculate completely renovated home with current finishes and features. Steps to the shops and restaurants on Walnut and Ellsworth! Home includes a 1 car detached garage and 1 car parking spot. Open floor plan! Chef's kitchen with quartz countertops and stainless steel appliances. First floor laundry. 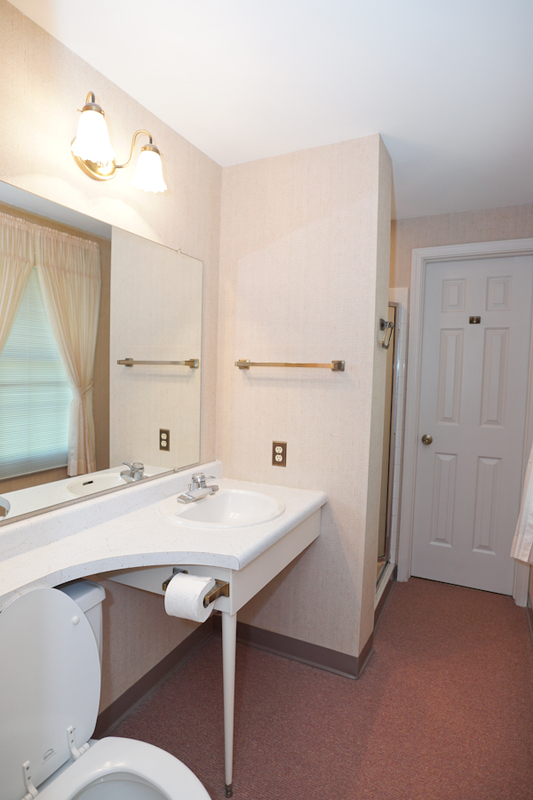 First floor powder room. 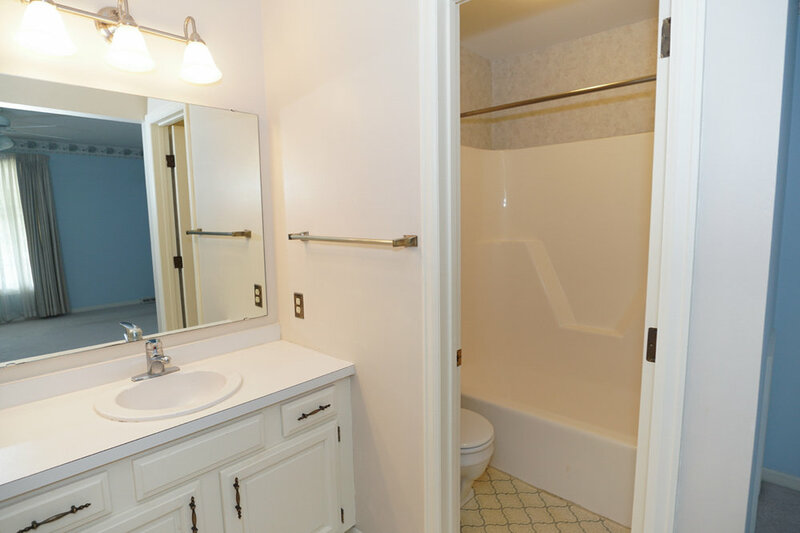 Master suite includes walk-in closet, bath with concrete countertops, and a double sink. Spacious bedrooms! 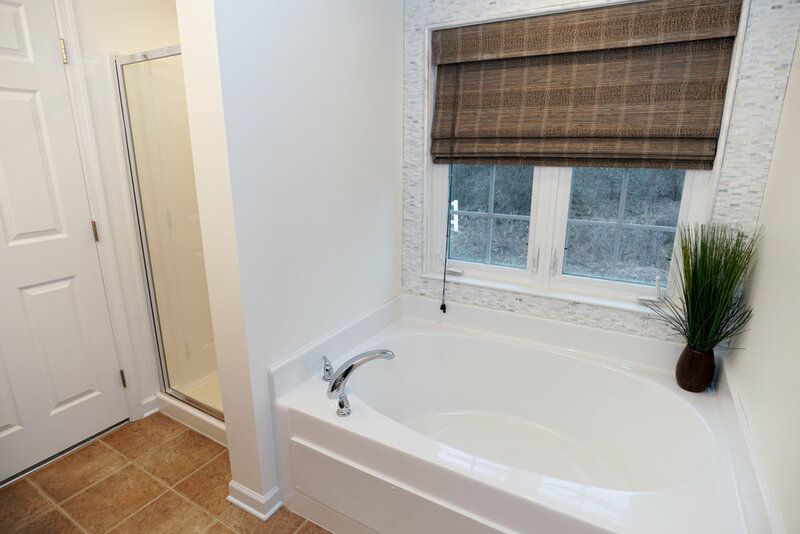 2nd full bath has a contemporary free-standing soaking tub! 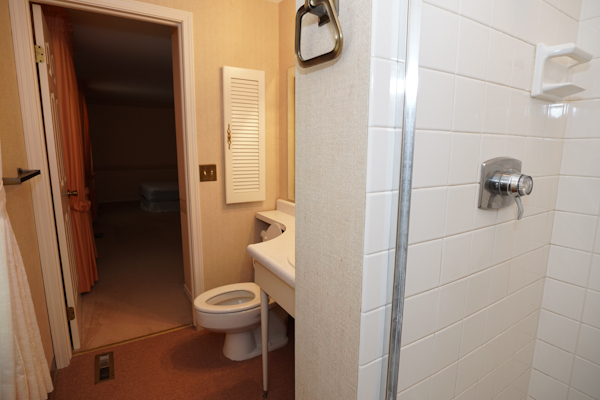 3rd full bath is located on top floor - perfect guest suite! 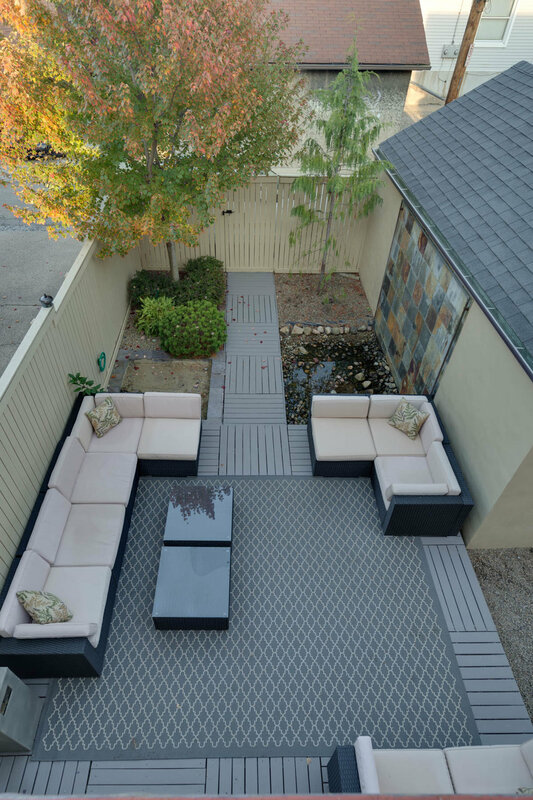 Amazing low maintenance back yard with patio and custom water features. Location! Location! Location! Steps to the shops and restaurants on Walnut and Ellsworth!